One of the petty annoyances of the UK anime scene is its small size. This usually manifests in the absence of complete series on our shop shelves. Companies start to release certain shows, they don’t do as well as expected, or contracts get awkward, and so it ends up as gaps in our collections, season 1s without season 2s and beyond. So it’s with some measure of delight that I can say that I reviewed Food Wars Season 2 last week. It’s a typical shonen action show, but with a twist. It’s all about cookery; all the macho posturing, the tournaments, one on one battles, they’re all about trainee chefs sweating over hot stoves to see who can create the most delish dish. Season 2 picks up where the first left off, right in the middle of a chefery tournament, and it is excellent! With most of my time devoted to reviewing anime disc releases in the UK, I rarely have the time to check out what is current, and popular in the streaming sphere. Flip Flappers was a show that everyone was talking about a couple of years ago, but I didn’t even know it was a magical girl anime until I started watching the check discs. On the bright side, I couldn’t be spoiled as to how good Flip Flappers is, and it is really very good, subverting its particular genre by focusing on the characters and building a story around them. What started off as something generic turned into something quite special in the end. I concluded the week with Kokoro Connect again, this time on Blu-ray. This was the bodyswap comedy drama that I fell in love with when I watched the MVM DVD release. It takes what could be a very prurient premise, but tells a really heartfelt and moving coming of age story about five friends in high school, dragged out of their safe complacent lives by a meddling force that starts to play games with them, body swapping being just the start. The one problem with the show was that MVM only released the DVD in the UK, so for the high definition experience, I had to import. Patlabor the TV series. Importing and incompletion, two of my anime bugbears already explored above. They collide in Patlabor, a franchise that has always had short shrift in the UK. Manga Entertainment released the first two movies, and then Beez re-released them. But the third movie has never had a release in the UK. Then MVM released the first and the second OVA series, but they never touched the TV series. 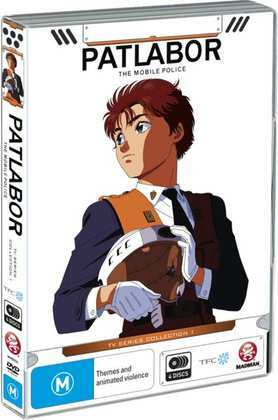 Sentai in the US released it all on Blu-ray and DVD, but other than the first OVA series, Patlabor hasn’t seen high definition in Region B territories. So I wound up importing the 47 episode TV series on DVD from Australia. I keep scratching my head as to why it doesn’t sell in the UK, as Patlabor is one of the earliest and best giant robot shows, a story where the robots are tools only, teenagers (moody or otherwise) aren’t allowed near them, in an anime that’s more character based police procedural than anything else. I’ve already delivered the abbreviated history of Patlabor releases, and unfortunately Madman’s Patlabor discs are going out of print. You can only get the first half of the series from them at this time, although with the Winter sale down under, it’s dirt cheap. Here’s my review. If you want the whole experience, you’ll have to get the Sentai discs from the US, Region 1 DVDs or Region A Blu-rays. 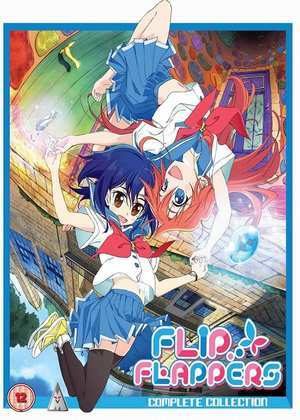 While the Collector’s Edition has been out for a while now, MVM’s standalone DVD release of Flip Flappers comes out on the 13th of August, the Blu-ray next month. 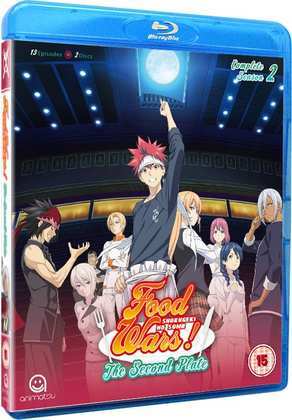 Manga Entertainment release Food Wars Season 2 on Blu-ray and DVD on the 13th as well. 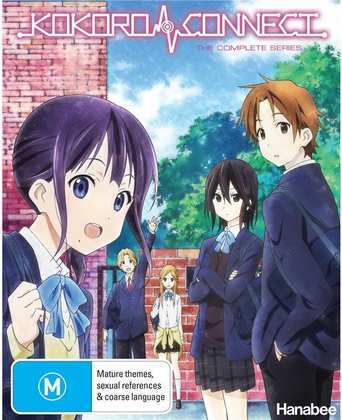 Hanabee released the Complete Collection of Kokoro Connect on BD and DVD back in 2017.